VfL Wolfsburg have signed Real Madrid CF forward Borja Mayoral on loan until the end of the 2016/17 season, with an option to extend the deal for a further year. "Wolfsburg are a big name in German football and in the Bundesliga," said Mayoral upon his unveiling. "I'm very happy and excited about the new chapter which lies ahead. We want to qualify for the UEFA Champions League again. The team certainly has the potential to do that. From the first moment, I had a great feeling at Wolfsburg." Put your expertise to the test with the Bundesliga Predictor! "He's a technically good striker who has already proven his eye for goal," said Wolves coach Dieter Hecking. "We'll obviously give him the time he needs to get used to his new surroundings in the Bundesliga, and to integrate into the team." The 19-year-old played a total of 58 games for Real Madrid's first and second teams, scoring 32 goals in the process. 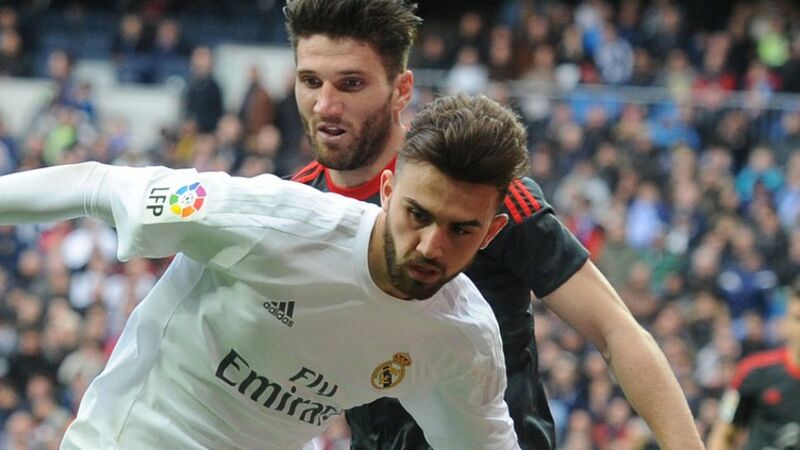 Mayoral also won the UEFA European Under-19 Championship in 2015, ending the tournament as the top scorer with three goals. Mayoral will link up with his new team-mates at their training camp in Bad Ragaz, Switzerland on Saturday.